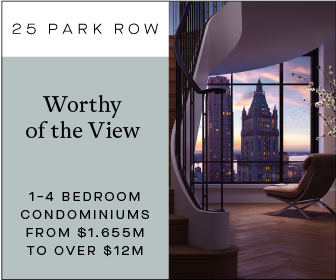 In February, public records revealed that Related expects to rake in $700 million from selling condos at 70 Vestry Street, the 14-story building under construction next to the West Side Highway in TriBeCa. Now, we have a slew of new renderings for the limestone-clad development. 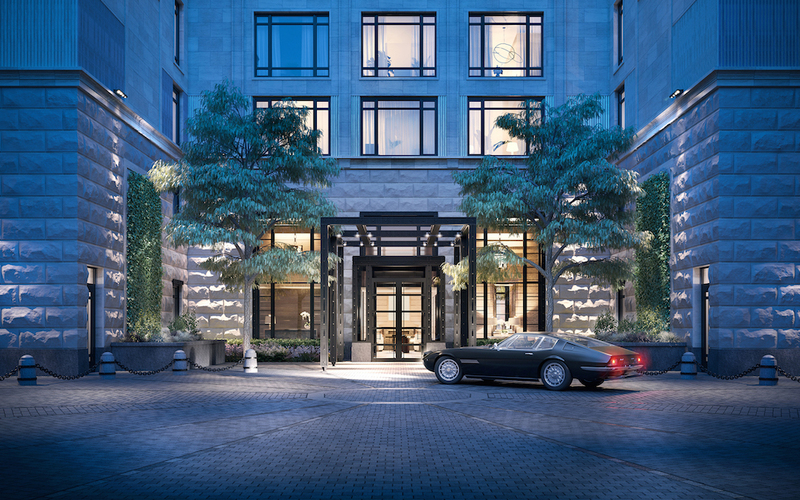 Designed by Robert A.M. Stern Architects, the building will offer 46 condos and 153,000 square feet of residential space. 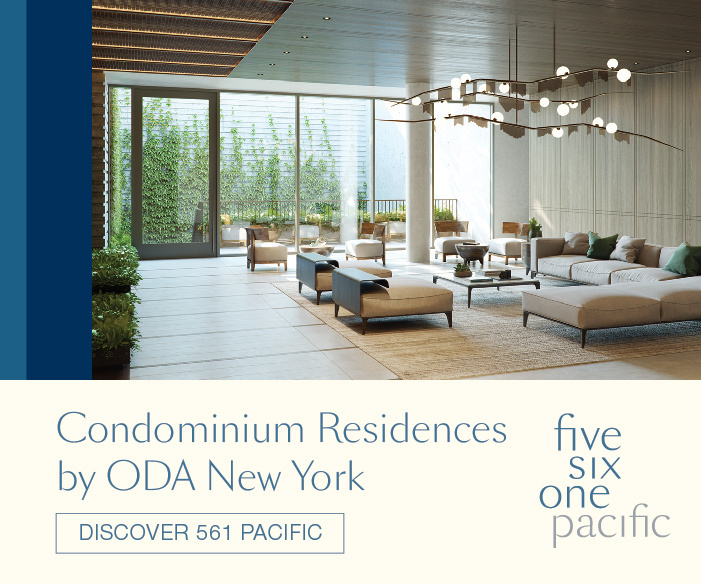 Apartments will range from two- to seven-bedrooms, and vary in size from 1,700 square feet to 7,000 square feet. 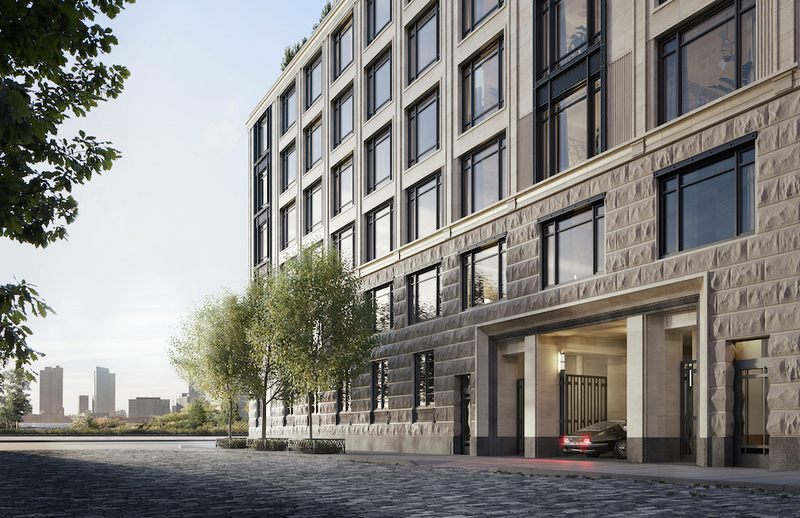 The building will have a laundry list of upscale amenities, including a swimming pool, squash court, exercise room, storage, billiards room, and library, as well as an automated garage for nine cars. 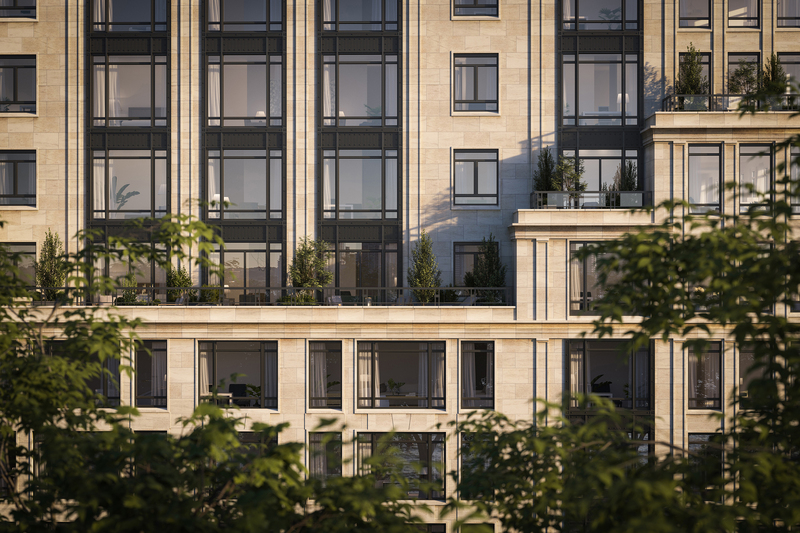 These new images give us a better look at the facade and entrances, which will be clad in French Baumaniere limestone. 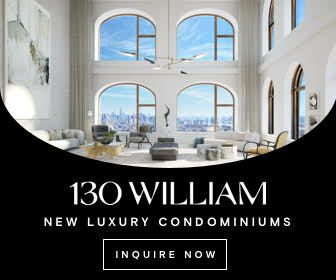 The stepped structure will have a dramatic impact on the Lower Manhattan skyline, striking a balance between Stern’s more conservative work, like 15 Central Park West, and TriBeCa’s aging brick warehouses. Related picked up the site from Ponte Equities for $115 million two years ago. 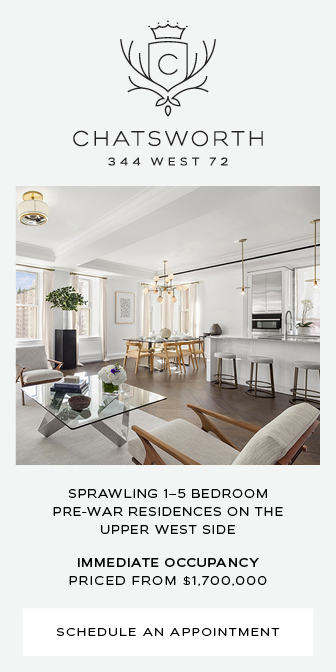 It occupies 24,360 square feet between Debrosses, Vestry, Washington, and West streets. 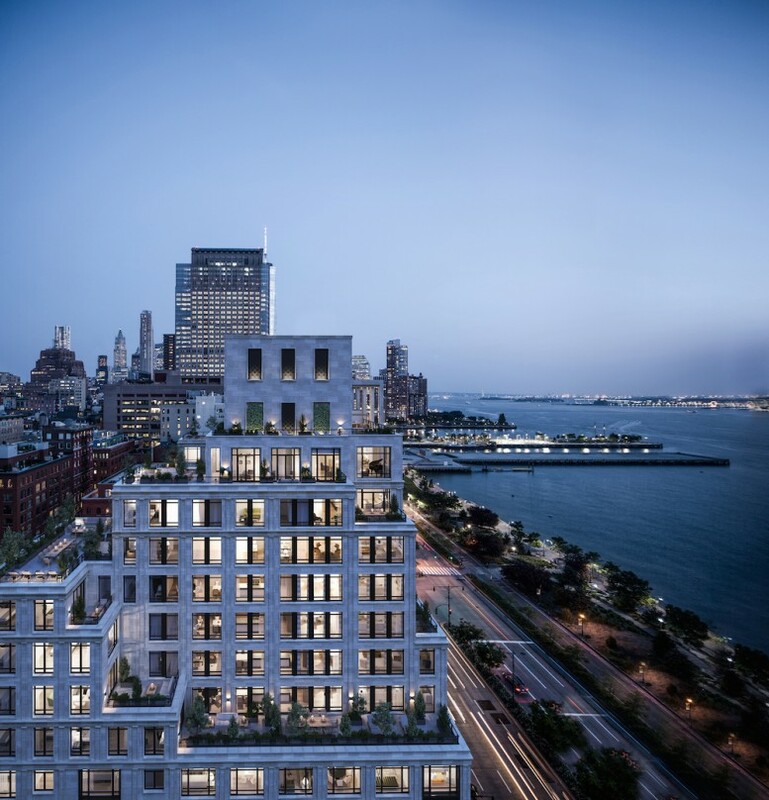 7 Comments on "New Renderings for 70 Vestry Street, Robert A.M. Stern Architects’ TriBeCa Condos"
With open view and beautiful night, look to the river as well as landscape too. Robert A.M. Stern does it again…brilliance in traditional design with traditional material. Very respectful for this part of TriBeCa. 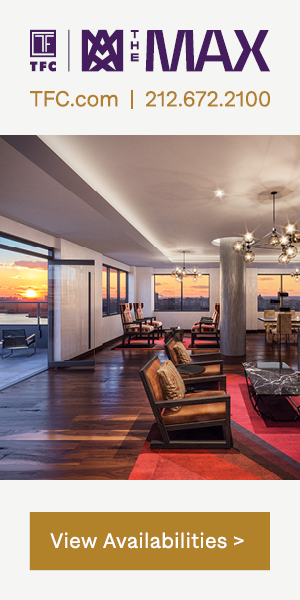 Yes,one of the best Architectural firms in the U.S. in fact the World! Always respects the surrounding environment and is not afraid to go against the boring trend of all glass and steel. Masonry clad buildings are what makes N.Y.C. different from most other “skyscraper cities” – glass boxes can be found these days anywhere on earth. Are washers and dryers allowed? How about shares? Temporary walls ok? Come on YIMBY…..”15 Central South”???? Fixed… apologies, that was egregious!